Novelist, poet, editor, professor and historian, George Bowering was recently named the first Poet Laureate of Canada. A native of British Columbia, Mr. Bowering has made an outstanding contribution to arts and culture in this province. While he has a prominent international and national profile, his work is inescapably rooted in BC, with stories of growing up in the Okanagan, haunting poems of urban Vancouver, and his innovative treatment of historical B.C. events. Mr. Bowering has authored more than 80 books and his work has been translated into French, Spanish, Italian, German, Chinese and Romanian. His writing includes books of poetry, fiction, autobiography, biography, collaborations and youth fiction. His award-winning titles include: George Bowering Select, Rocky Mountain Foot, The Gangs of Kosmos, Burning Water, and, His Life: A Poem. In 2001, he retired as a professor at Simon Fraser University where he taught and inspired two generations of young writers. Mr. Bowering supports the work of other writers as a generous mentor and literary critic. He continues to act as a Canadian literary ambassador at international conferences and readings and recently published Stone Country, A History of Canada. Mr. Bowering has received two bp Nichol Chapbook Awards for poetry; a Canadian Authors’ Association Award for poetry, and Governor General’s awards for poetry and for fiction. 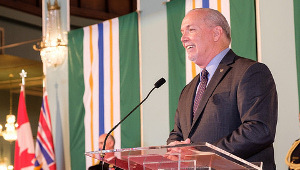 UBC awarded him an honorary degree and their 75th Anniversary Award for distinguished alumni. 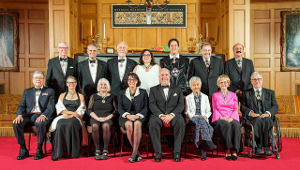 George Bowering is the recipient of three Canada Council Senior Arts awards as well as visiting professorships in Germany and Denmark. 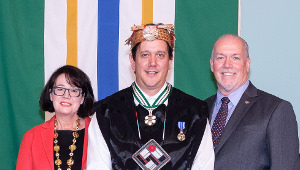 In 2002, the Vancouver Sun recognized him as one of the most influential people in British Columbia. 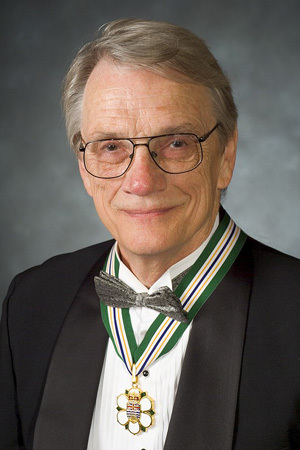 Mr. Bowering was invested into the Order of Canada in 2003.